The multi-player accounts in Golf Stat Lab are designed so that coaches and teams can have one account that pays for multiple players access to the system. This builds off the data sharing capabilities already in Golf Stat Lab, and is just as flexible. You can share data between players covered by a multi-player account and with those who have their own accounts. The data sharing between accounts works the same way whether the players / coaches have individual accounts or multi-player accounts, there is no difference. To see an overview of how that works, check out our video: Data Sharing on Golf Stat Lab. To get multi-player accounts set up, everyone needs an account on Golf Stat Lab, the players covered by the multi-player accounts need to share their data with the account who is paying for them and the account that is paying for the multi-player plan then needs to "cover" the other players. Lets go over the most common way this is done step by step. In these instructions, we will call the account that is paying for the multi-player plan "Coach", and the accounts that will be covered under this account "Players". The "coach" should start by signing up for a multi-player account. If the "coach" already has an account, they can change their account type from the "Profile" section of the site (when they are logged in) if they need to upgrade from an individual or free account to a multi-player account. Next, the players need accounts. If the player already has an account skip this part, if not, there are two ways to do this. The first way is for the coach to send the player an email Invitation (from their "Profile" page). This will send an email to the player with a link to join Golf Stat Lab. When the player clicks on the link and signs up they will be set up with a "free account" (if they don't already have an account) and automatically be set up to share data with the "Coach" account. The invitation will NOT automatically cover the player - this way invitations can be sent to anyone whether they pay for their own account or ultimately get covered by a multi-player account. The second way for the players to get an account is to go through the regular sign up process on the Golf Stat Lab website, but they should sign up with a "free account". After everyone has an account, all the "player" accounts need to share their data with the "coach" account, which is done by adding the "coach" to the players Shared List - found in their "Profile". To see how this is done, see our video: Data Sharing on Golf Stat Lab. Now that all the "players" are sharing data with the "coach", the "coach" can now add them to their multi-player account by "covering" them. On the "coach's" profile page there will be two lists labeled "Cover a Player" and "Covered Players". As the names suggest, "Cover a Player" is the list of all "players" that can be covered by the "coach", and the "Covered Players" is the list of players already covered by the multi-player. Players can be moved between the lists using the buttons next to their names. You may notice that the players on the "Cover a Player" list are the same players that share data with the "Coach" - this is why step 2 is important. What happens if I stop covering a player? If you remove a player from your "Covered Players" list, that player cannot enter more rounds in Golf Stat Lab until they either get added to another "Covered Players" list, or they set up their own membership plan from their profile page. Their data will not disappear or be deleted, and data sharing from the player will continue - everything will stay the way it is until they get new coverage. This is also true for players who have a laps in their membership plan (usually due to an expired credit card on file) - all their data stays the way it is and only the entry of new rounds is restricted. Do I have to cover all of my players? No. While data sharing is a prerequisite to covering a player, the two parts are separate. You can have as many players as you want share data with you, but only cover some of them - it's your choice how you set up your team. We like to keep up on the latest ideas, tips and drills from golf coaches around the world - and we want to share it with you. Do our students want us to be Instructors, Coaches, or Mentors? Or a wonderful combination of all three? You can share your round data and reports with coaches and team members in Golf Stat Lab, and we made a video that shows you how to do just that. The data sharing tools can now be found under the "Players & Group" section, not the profile section. Anyone even halfway serious about golf has one goal in mind - to shoot a lower score. With the number of books, articles, seminars, camps and radio programs all dedicated to this one idea it's easy to tell that it's on everyone's mind. It all about better performance, and who doesn't want that? So how do you get there? What's the secret? The answer is not as glamorous or shocking as some would like. It's quite obvious, really - in order to score lower, you have to get better. So what does that mean? Better at what? The easy answer here is better at everything, but that isn't very actionable. So let's break it down a bit. First the bad news - everyone is different with a unique mix of strengths and weaknesses, so what works for one person may not work for another. To complicate things even more, people change over time, both physically and mentally - so what works for a player now may not work in the future. You don't need to look much further than Tiger Woods return to golf after his back surgery to see this. Now the good news - it doesn't matter. That path to lower scores is not found in a bulleted list of tips and tricks, its a process. Fortunately, its a well-documented process with a proven track record of success that can be implemented by anyone at any skill level. In the simplest terms, its a strategically directed continual improvement cycle. Quite a mouth-full and a little "buzz-wordy", but it's the best way to get to that new lower score over and over again. 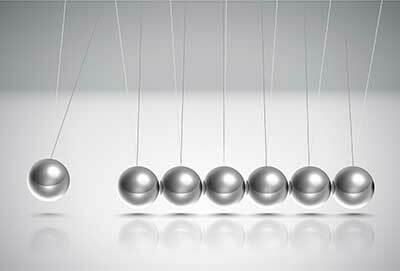 Several industries have different takes on strategically directed continual improvement cycles. There is Six Sigma, Kaizen and LEAN to name a few, and they have all transformed the companies that use them to drive up quality enormously. So basically, the same process that took Japan from the low quality, poor performing knock-off maker of the world in the 1950s to an industry leader in consumer electronics and automobiles today can also help you become a better golfer. 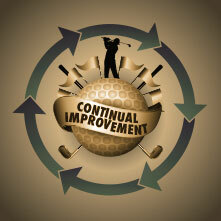 So what is a strategically directed continual improvement cycle, and how do you apply it to golf? Let's break it down. First, it is a cycle - its a set of behaviors that repeat back on themselves. It's not an exercise in making charts or lists and then hoping something happens, it's a set of behaviors - actions done over and over again with purpose. Like any other behavior, it takes time and practice to get right and seem comfortable - just like a golf swing. Give it some time and persevere. Second, it's strategically directed. The actions taken must satisfy a strategic goal - it has to have an actionable purpose. Setting strategy starts with intent. Intent is the "what" - what do you want to accomplish. Strategy is the "how" - how can you achieve your intent. Strategy is what makes intent actionable. You can tell you have a good strategy (in principle) if it can be measured. So what about measurement? It's critical. It's been said that you can't manage what you don't measure and in golf, the same rule applies. Without measurement, your strategies are based on guesses and you have no idea if you have met or are moving toward your goals. Every continual improvement cycle requires a measurement framework in it to work - it's not really optional. This is the reason that Golf Stat Lab exists - but a pencil, paper, and calculator can also work (if you're good at math and statistics). The point here is not what measurement framework you have (although we prefer you use Golf Stat Lab), but rather that you have one and it's accurate. What do you want to accomplish? This can be anything from "Score Lower" in the largest sense to "Drive longer" or "Chip more accurately" in the smaller sense. Intent is about setting direction. Use your performance data to help. Remember that a strategy makes your intent actionable and measurable. If your intent is to "Score Lower", then answer by how much to make it a strategy - like "Reduce my scoring average to 70". It's a good idea to keep your goals small - if you're current scoring average is 85, don't set a goal for 65 - break it down into steps. Start with 80, then go to 75, etc. This is a cycle, so keep the cycle going with smaller targets instead of getting stuck in one long cycle. KPI stands for "Key Performance Indicators". There are many many golf statistics you can track - just take a look at our Golf Stat Dictionary. The purpose of KPI's are so you know what to look at, and just as importantly, what to ignore. Your KPI's should be directly related to your strategy. A baseline is what your KPI's are at currently. If your strategy is to "Increase drive distance by 10%" then one of your KPI's has to be Driving Distance and your baseline is your current average driving distance. Armed with your measurable strategy, baselines and KPI's, you now need to create a plan of action to achieve your goals. This is another step where your performance data can help a lot. Having a golf coach also helps in this step immensely. This step is all about creating a list of specific actions to be taken to increase performance - basically, a practice and/or workout routine. Another helpful planning tool we can use to help create our action plan is a variation of the SWOT analysis. SWOT is an acronym for Strengths, Weaknesses, Opportunities, and Threats and is used in strategic planning to help create action plans as well as determine if a particular objective (strategy) is worth pursuing. The basic idea is to make some lists related to your strategy. For the purposes of our action plan, the really important parts are the Strengths and Weaknesses. By identifying these we can create plans to support our strengths and work on our weaknesses. The opportunities and threats can be helpful, but they have less utility in this context as they normally do in organizational strategic planning. If you find it hard to come up with action plan steps or find your strengths almost non-existent while your weakness list is pretty long, it may be an indication to revisit your strategy. Sometimes a strategy is not specific enough to create an action plan from. If that is the case you can either change it or create sub-strategies by following the process using your Strengths and Weakness (and coach if you have one) to guide you. Make sure to include reasonable "deadlines" in your action plan to both thwart the tendency to procrastinate and to give a predefined interval to reflect. This step is both the easiest and the hardest - easiest to understand and hardest to actually do. This is where passion and commitment come into play because at this stage you are no longer planning but doing, and doing takes time and effort. Stay strong and work the plan. An important part of this step is to consistently track your performance. Don't spend too much time analyzing just yet - that is what the deadlines set in the action plan are for. Ear to the grindstone and write down (enter) your data. When you reach the deadlines set in your action plan, take the data you've collected for your KPI's and see where you stand. If you reached your goals, great! Set new ones and repeat the process. If you didn't reach your goals find out if you are going in the right direction. If you are making progress but haven't reached the goal just yet, set a new deadline, make some plan modifications and set back to work. If you haven't made sufficient progress (or any), something is wrong. Revisit the plan at each stage of the cycle to see what might be off. A coach can be really helpful here. Fix the plan (or scrap it and make a new one) and repeat. Strategy: "Reduce Scoring Average to 75"
Intent: "Reduce the number of approach shots"
Strategy: "Play a maximum of 2 approach shots on par 5, 1 on par 4 or less"
There are a few differences between player and coach / team leader accounts on Golf Stat Lab. We made a video to show you. Ask any statistician and they will tell you that the biggest hurdle in data analysis is confusing correlation and causality. Getting these two ideas mixed up can cause you to focus on the wrong thing waisting time and not yield any improvement. Let's get our definitions in order first. Correlation - a mutual relationship of stats - that is that they vary together. Causality - the outcome of one stat directly effects the second stat - that is the first causes the variance in the second. Let's get a little less abstract and look at a few stats to put this into perspective - Score to Par and GIR Percent. These two stats tend to move together, which makes sense - the idea being that if you have a high GIR Percent your Score to Par should be pretty good as well. The opposite is also true if you have a low GIR Percent your Score to Par will tend to be higher. There is a correlation between these two stats, but is there a causal relationship? While it may be true that a players Score to Par may be changed because of their GIR performance, it isn't always the case. Good up and down performance can overcome missing a green in regulation and still make par. By only looking at Score to Par and GIR Percent it could be assumed that to improve Score to Par a player should work on their GIR shots, but that may not be the whole story. The first place I would check is the Performance DNA (or strokes gained if your stat program has it) to see where the most stokes are being gained. It may turn out to be that the players driving performance is the real issue, causing both the GIR Percent and Score to Par to be less than desirable. If that is true it would show that the driving performance has a causal relationship (causality) with GIR Percent and Score to Par, and that GIR Percent and Score to Par are correlated. When looking to improve skills, it's important to look deep enough to see what is causing the performance gaps and what is correlated. This means looking into the stats enough the see the whole picture and trying to use the numbers to support different possible scenarios to see which is most likely. Always look for the cause instead of assuming it - one stat may turn out to be correlated and not causal. If you haven't seen the movie "The Legend of Bagger Vance" you should - it was a good movie, but it also had one line that provides a lesson about golf statistics that should be considered. First lets get those who haven't seen the movie caught up. 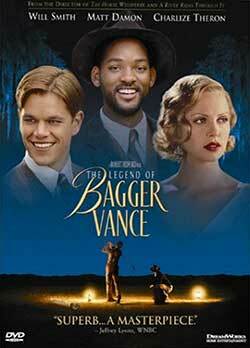 The basic storyline in the movie is about Randolph Junuh, a golfer from Savanna Georgia who was convinced to play in an exhibition match against two of the worlds greatest golfers in an attempt to save a newly built golf resort, and to some extent all of Savanna, during the great depression. Junnuh (played by Matt Damon) was from Savanna and showed incredible potential as a young player before he was drafted and sent to war. When he returned his experience in the war caused such internal strife that he could no longer play golf as he once did, but with the town of Savanna depending on him so much he decided to play. At this point a mythical caddie named Bagger Vance (played by Will Smith) appears and helps Junnuh to find his "authentic swing" by quieting his inner demons allowing him to finish the exhibition match one stroke behind the other two due to a penalty he called on himself. It was a good movie, but the lesson to be learned can be found when the narrator described the three players in the match. "Hard to imagine three more different approaches to the game of golf. Bobby Jones' swing was a study of grace in motion. He had a way of making the difficult shots look easy and the easy shots look even easier. Hagen, on the other hand hit more bad shots in a single game than most golfers do in a season. But Hagen had long ago learned one thing: Three lousy shots and one brilliant shot can still make par. And Junuh? Well, even now I can't think of it without wincing." "Three lousy shots and one brilliant shot can still make par" - it may not be the best strategy, but it is true. Every golfer has different strengths and weaknesses in their game, and tracking performance with a golf statistics tool can help make those clear. The fastest way to achieve better performance is to strengthen the weak parts of your game but sometimes you can hit a wall. Watch out for the point of diminishing returns, that is, watch for the point at which working on a particular weakness stops producing improvement. Golf statisic and diagnostic tools like Golf Stat Lab are good at showing a player their weaknesses and suggest where to spend practice time, but they also show you where you are improving and where you are not. If you have identified a weakness in your game and work on it you should see those stats improve over time. If you see that your improvement stops in those skill areas you need to ask yourself if perhaps your training methods need to be changed, or do you need to move on and work on something else? The good thing about having strengths is that sometimes they can compensate for a weakness. Don't ignore your strengths in practice because if you can make them your brilliant shots then you can sometimes cover for your lousy shots with them. If you see that you can gain the most strokes on putting, then work on putting. If you continually work on putting and get a little better but then find that you can't seem to reach the next level of performance with your putts, then consider switching to work on your greenside shots. If you can make your greenside shots better to leave the ball closer to the hole, then your putting will be easier. Putting may still be a weakness, but because you have minimized its impact on total scoring with brilliant greenside performance you can still score better. You can go back and work on putting later but in this scenario working on your greenside shots was the better use of time. At Golf Stat Lab we love numbers. We love statistics and charts and data - but if we have to be perfectly honest, we have to admit that at the end of the day - numbers don't tell us anything. Numbers merely suggest. This doesn't mean that numbers, tracking, trends and statistics are any less important, they are vital if improvement is your goal, but there is a hidden danger in numbers, and that danger is misreading them. This danger exists in any analysis done to a set of numbers, whether it's managing a business, dissecting website traffic, managing finances or looking at your golf performance. It's important to remember that when looking at numbers, they only mean what they are - a number. Let's look at some Golf Stats to illustrate this point because after all, thats what we do and why you're reading this. By looking at these numbers we can see that we are scoring to high, we are 5.4 stokes over par per round. We can also see that our GIR is low, we are only getting a Green in Regulation 30% of time and missing it 70% of the time. And finally we can see that we have too many putts per hole, we want that at 2 or less and we are at 3.4 average putts per hole. We can definitely see that there is room for improvement - we can safely say that the number suggest that, but the real problem here is what do we do to improve our performance? These numbers can't tell us that. We're not trying to pick on free golf statics programs, after all any statistics are better than none, and in all truth, no set of numbers can tell us what to do - they can only suggest where else to look. The problem we have in this example, is that while we know our score to par is too hight, our GIR percent is too low and our putts per hole are too high, we don't know why - and we don't have anything else to look at to help us figure it out. Our GIR percent may be low because our approach shots are less that desirable, but it could also be because our drives are leaving us in areas of the course that make it impossible to hit a GIR no matter how good we are at approach shots. Both of these scenarios are possible, but with the stats we have here, there is no way to tell. The same is true for our Putts per hole - are we bad at putting or is our short game leaving us so far from the hole that we need the extra putts to make up for it? On the surface it's easy to assume that if our Putts per hole are too high, we should work on our putting - but if it really is our greenside shots that are causing the extra putts then we could work on our putting until the cows come home and still not see any improvement. When doing analysis on a set of numbers, it's important to have enough information to check the suggestions each number is giving us. In Golf Stat Lab there are many other numbers, segments and calculations to check against each other to see what the story really is, like the Performance DNA and shot specific reports. Using our example above, if we see our GIR percent is too low we can also check the Performance DNA in Golf Stat Lab to see where we are gaining the most strokes. If our Approach Shots are are higher than our Diving Shots in the Performance DNA then we can assume that our GIR problem may be stemming from there, but if our Approach Shots are low and our Driving Shots are high, it may be time to hit the driving range to bring up our GIR Percent. In all truth we are still guessing as numbers don't tell us anything (they only suggest), but this guess is much more educated and likely to improve performance. Remember to investigate several stats to try and test your assumptions (if you have more stats available) and you will be more likely to drop some strokes and improve your scores. If you need help, don't be afraid to get your coach involved, or ask the Pro at your local course for guidance. If you have any questions on the stats here in Golf Stat Lab feel free to check our our Stat Dictionary or drop us line using the form on the Contact Us page. The Reports and Analysis section of Golf Stat Lab is one of the most power tools you have to improve you game, and mastering the filters on the reports is critical to gaining great insight. Fortunately, they are pretty easy to use, so we made a video to show you how to get the most out them. 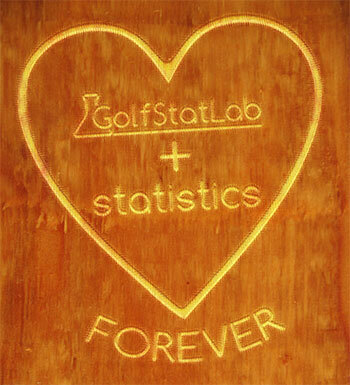 Heard about Golf Stat Lab, but not sure what it is? Have no fear, we have an answer. Simply put, Golf Stat Lab is the most advanced web based golf performance diagnostic tool available. We made a video to explain what it does, and how it can help you. Golf Stat Lab helps you improve your golf game by showing you the best areas to focus on to lower your score. You can easily identify what is working and where your gaining the most strokes using the dashboard, and you can drill down into hundreds of individual stats to see exactly what you should work on next. You can also share your data with your coach or team leader so that everyone is on the same page and you can work together towards incredible improvement.